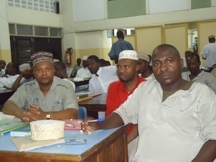 Islamic Education Board of the World Federation of KSIMC from the 20th December 2011 to the 30th December 2011. A total of 59 participants attended the seminar. Shk Ayub Rashid was the lead facilitator for this event that took place at the Bilal Hall. 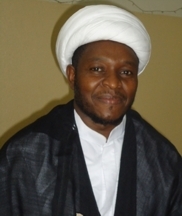 Sheikh Ayub Rashid born in Arusha, Tanzania, has done a BA in Islamic law, MA in Islam and Community Studies, is a qualified Muslim Chaplain from Markfield Institute of Higher Education in Leicester UK, he is currently a lecturer of Islamic College for Advanced Studies in London and the Imam of Friday Jamaat with Khairul Amal Trust in London. A key paper entitled “Evolution of Jafferi’a – communities in East Africa” was presented by Brother Hassan A M Jaffer. This highlighted the proposed Marriage, Divorce and Inheritance Bill and enlightened the participants of key areas in the proposed Bills. The participants were allotted time for questions to clarify doubts they had. Bilal Muslim Mission of Kenya would like to thank the Islamic Education Board of the World Federation and the Federation of KSI Jamaats of Africa for their support and for Co-sponsoring this seminar. The Mission would like to thank all the participants from BMM Tanzania and various Tableegh institutions for attending the seminar.